Winter is slowly starting to disappear and Spring is on the horizon, it’s that time of the year where our thoughts turn towards Mothering Sunday, a day to say thank you to our Mother’s! Mothering Sunday falls on Sunday 6th March this year (2016!) and it’s the ideal opportunity to return the favour and show her just how much she means to you, celebrate all that she has given to you! Gin and Tonic has really taken off here in the UK within the last year, there’s Gin bars popping up in every major town and city across the country, more Gin to choose from in the Supermarket than ever before! 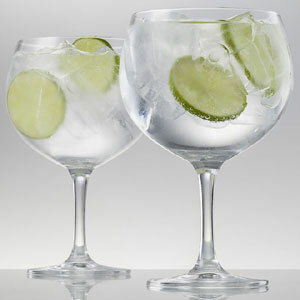 Therefore, Gin specific glassware is now ‘a thing’, especially the popular wide bowled Spanish style gin and tonic glasses! If your mum likes to travel, why not treat her to some wine bottle travel bags, the perfect solution for transporting wine! These handy bags allow you to take or bring back your favourite bottle of wine from holiday, they reduce the risk of the wine bottle breaking within your packed luggage and ruining your packed contents. Our most popular Wine Decanters are the stunning handmade crystal pieces from Eisch Glas. 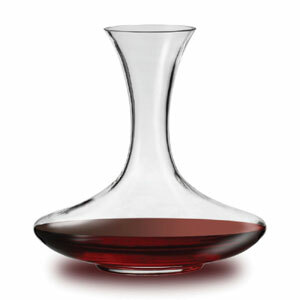 Made completely by hand in Bavaria Germany, our collection of wine decanters would make the perfect Mother’s Day Gift. The shape and style of the Eisch Glas Wine Decanters will enhance the drinking experience of Red Wine, the wide bowl allows the wine to aerate and you can effortlessly pour into each glass around the dinner table. Our very own Waiter’s Friend corkscrew is a must have wine accessory for any keen wine drinker! Screwcaps are becoming more popular recently but the traditional wine producers and manufacturers still insist on the old school cork closure. Our exclusive double lever corkscrew has a rosewood handle and works efficiently in removing those stiff and tough corks. Gift boxed. 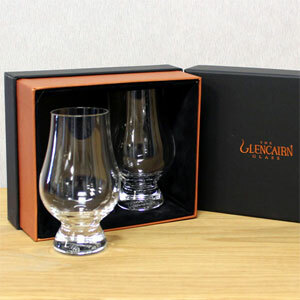 The Glencairn Whisky Glass has always been a popular item when purchasing gifts and Mother’s Day is certainly no exception. The stereotype is more male driven for Whisky drinkers, but that isn’t really the case as females love a drop of Scotch too! The Glencairn glass offers an exceptional nose and really does work wonders for enjoying your favourite dram. The presentation box is certainly the way to go when giving these glasses as a gift. If you’re still undecided on what to give on Mother’s Day, let her decide and give a gift voucher instead. We have gift vouchers available in denomination of £10, £25 & £50. Click here to view the entire Mother’s Day Gifts collection available from Wineware.